HOLLYWOOD—Lake Bell has made no secret about her love for the world of voiceover acting. The first feature film she directed, wrote and starred in was 2013’s “In a World…,” where she played a voiceover artist who competes against her father for a coveted gig. 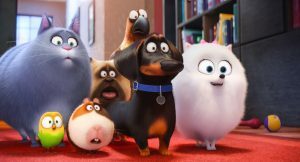 Someone was listening because now Bell actually does a voiceover in the all-star animated comedy “The Secret Life of Pets, ” Universal Pictures’ comedy about a mix of wacky apartment dwelling animals and their adventures in the big city one day while their owners are away. She voices the character of Chloe, a grey Tabby with a big appetite and the sole critter with a rational mind. Bell co-stars with comedy legends Louis C.K., Kevin Hart, Ellie Kemper Jenny Slate, Bobby Moynihan, Hannibal Buress and Albert Brooks in this film by the makers of the popular “Despicable Me” movies. 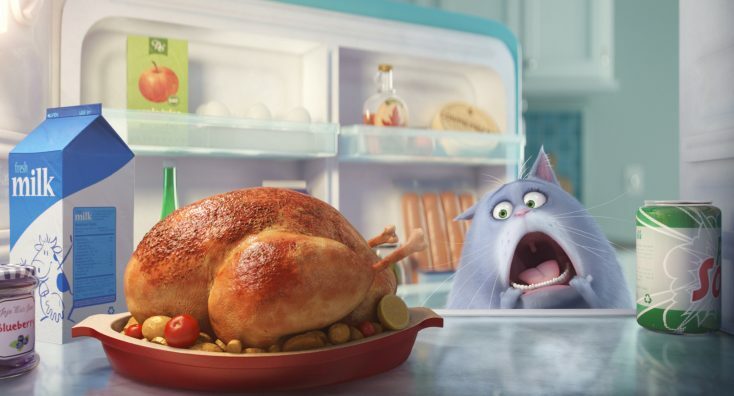 Illumination Entertainment founder and CEO Chris Meledandri and his longtime collaborator Janet Healy produce the film directed by Chris Renaud (“Despicable Me” films) and Yarrow Cheney, and written by Brian Lynch, Cinco Paul and Ken Daurio. Calling from the car transporting her to a press junket in New York, the versatile actress spoke about voiceover acting, pets and what’s ahead. Q: Have you had a chance to catch up with your fellow cast members today? Bell: No. I’m just heading into the junket now. I saw a few of them over the past few days. It’s a pretty big cast. The only people I knew beforehand are Bobby Moynihan, Jenny Slate and Ellie Kemper. Q: How did you get involved in this film? Bell: I’d been very public about being obsessed with voiceover. Doing an animated movie has always been on my career bucket list. In making “In a World…” which is about a voiceover artist, I truly enjoy and aspired to do as many voiceover jobs as I can. I just think they’re they afford you the ultimate freedom in acting in a way because you’re not judged by what you look like. You can be anyone. You can be from any walk of life, but you also can be an animal. It’s the ultimate acting experience in a way. Q: You play Chloe who is the voice of reason amongst this menagerie. She has a weakness, which is food. How was the character described to you? Bell: With animation, the actors are a really small part of the process. The heavy lifting goes to the animators, and the director and the editor and the people who are really crafting and making the magic that come to the movie in the end. The actors are just providing one part of the seasoning to the sauce. The voice helps guide the feeling or attitude of the character but you can’t go deep into a role. It’s not that kind of thing. You go in (to record) and it’s very playful. The experience is delightful. There’s no hair and makeup. You just roll in and read the script and it’s like, “You make a grunt as you get stuck in a doorway.” It’s a freeing experience. You don’t have to be so heavy-handed with your preparation. It’s kind of spontaneous, which is kind of cool because that kind of spontaneity is sewn in with long and painstaking very detailed thoughtful process of animation. It’s kind of what juxtaposes beautifully. Q: Did Chris Renaud and Yarrow Cheney allow you to improvise some of the dialogue in the recording booth? Bell: They cast all comedic actors and comedians. Partially, what you gain from doing is that we’re improvisers. We have the opportunity and are sort of counted on to improvise a little bit in order to make things feel spontaneous and funny. Q: Are you more of a dog person or a cat person? Bell: I wouldn’t consider myself exclusive to one. I’m kind of a pet person. I use my daughter now to be a grown adult and drop everything to lean down and pet a cute doggie. I love cats too. I love pigs. I’m very pro animal in all shapes and sizes. I love cats. I’ve been trying to campaign my husband to be open-minded about getting one. Q: Is your daughter old enough to see this movie? Bell: No. She’s only 1-1/2 and we’re not opening her brain to screenings yet. She’ll get there in due time. This will be the first film she’ll be able to see. Bell: Yes, I’m currently in editing which is awesome. I’m right in the middle of my editorial schedule. It’s like a dream come true. It’s my second original work. I co-star in it with Ed Helms, who plays my husband, and Amber Heard, Wyatt Cenac and Mary Steenburgen, Paul Reiser and Dolly Wells are in it. I’ve been super-lucky to work with such an amazing cast. Q: Once you’re finished, are you taking it to film festivals or is there a release date? Bell: I’m gunning really hard to make my deadline to apply to the festivals. Q: You also star in Ric Roman Waugh’s “Shot Caller,” due out later this year, right? Bell: I’m in that. I don’t know when it’s going to be released. I shot it last year. It’s sort of an intense thriller. It’s about a prison gangster and I play his wife. It’s vastly different from anything I’ve ever done. It spans the course of 10 years so I start out in a one place emotionally from where I wind up. And I’m the only lady among a lot of testosterone. Bell: To be able to do that, just emotionally, as an actor was pretty intense. Q: Have you seen “The Secret Life of Pets” yet? Bell: Not yet. I made a concerted effort to wait and see it at the premiere with my husband and my family. Normally, I want to see the film before the premiere but with this one I thought it would be more fun to see it for the first time at the premiere.